They say the third time's the charm. 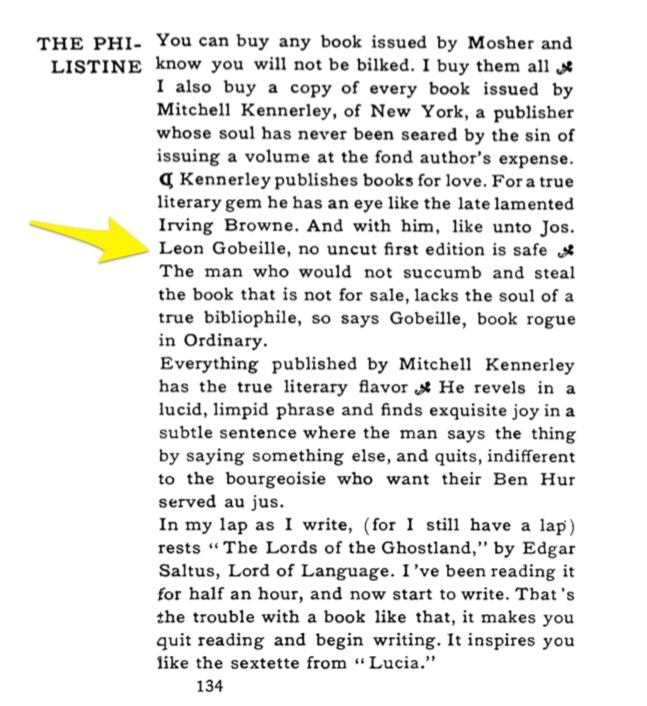 But that axiom doesn't seem to apply to book collecting. 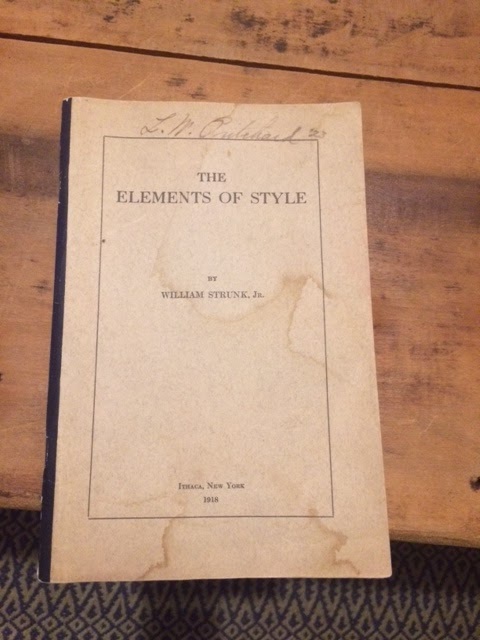 And so far, it's not working in my quest to acquire a copy of the 1918 First Edition of William Strunk's little book, The Elements of Style, for my Elements of Style Collection. 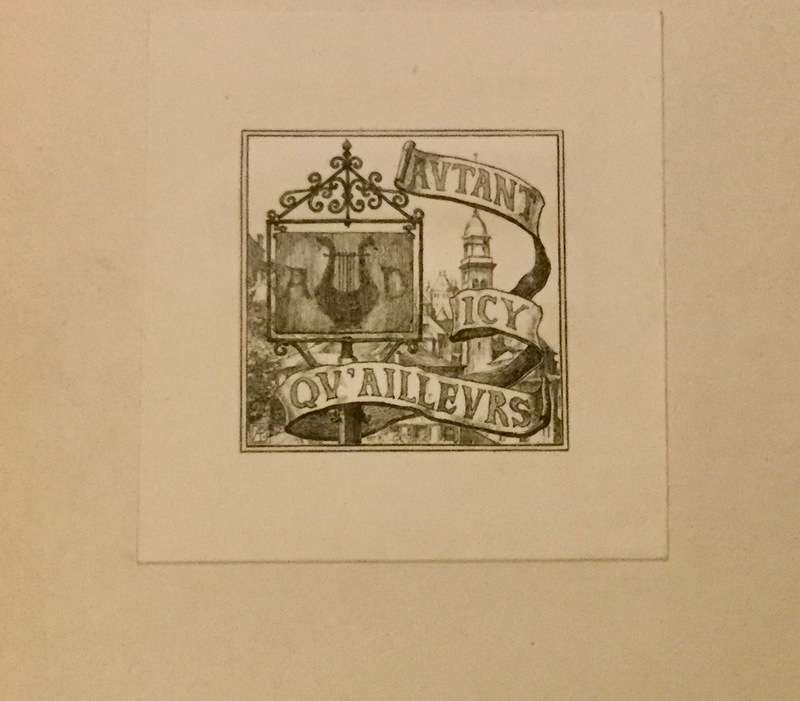 Bought from Bob Reidel of Print Matters (Dansville, NY), who bought the proofs from a bookseller in Rochester who first bought the proofs from Frank Aydelotte's son William Osgood Aydelotte. Printer's page proofs of privately printed true 1st ed. 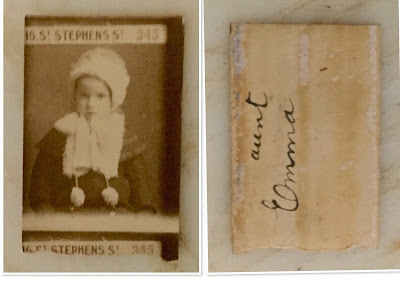 •Manuscript note, dated 25 September 1918, on Cornell University Department of English stationery, pasted to inside front cover: "Dear Aydelotte / Many greetings and good wishes. 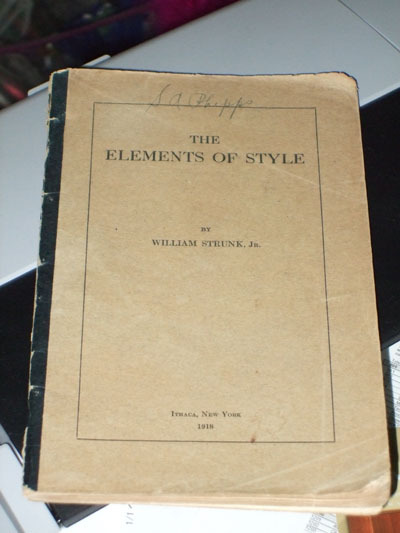 I am sending you Strunk's Elements of Style (in page proof). Book to be out this week. It seems to me to give the essentials more compactly than does any book I know. Possible use for S.A.T.C. English and for Engl. comp. in connection with War Aims Course? Retails at 25 cents. 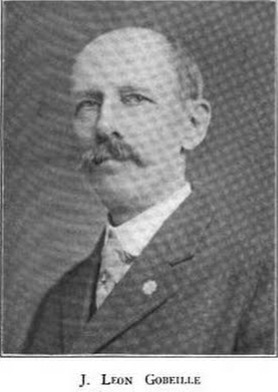 Yours always cordially / Martin W. Sampson/ Incidentally Chairman Cornell Com. on War Aims Course"
•"Aydelotte" named in note is Frank Aydelotte, then faculty member at MIT, later president of Swarthmore College, and author of Elizabethan Rogues and Vagabonds. •43 leaves (complete), printed rectos only, title and last leaf taped in, the remainder bound with eyelets and laid in. •There are a number of proofreader's corrections in pencil, possibly Strunk's own. 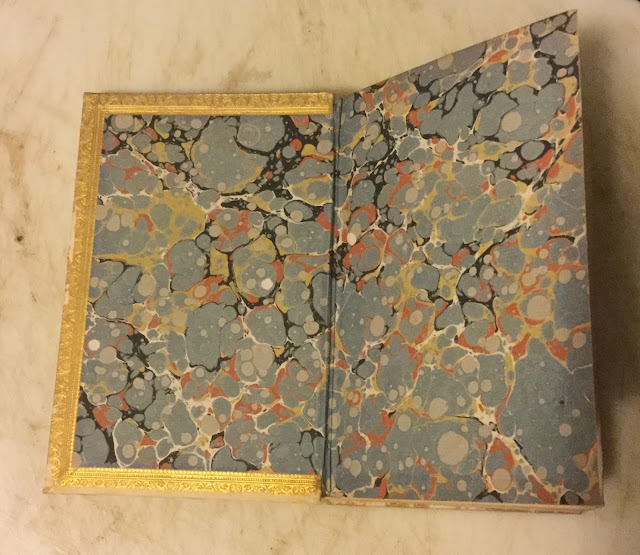 •The earliest known state of the book, Strunk's original manuscript having been lost. I can blame my heart problems for letting the second copy of the 1918 edition of The Elements of Style get away. After stents eight and nine were inserted in my arteries in February 2006, my doctors put me on a twenty-pound weight limit, and I couldn't deliver the mail anymore. So I had to retire from the Post Office. It seemed to take forever for my retirement disability to be approved. But thanks to my wife, I had excellent credit. In the meantime, an instructor, from the University of California, who was teaching Japanese History, bought a stack of books at a yard sale to use in his class. The stack contained books and maps from someone's trip to Japan in the 1960s. And in this stack of books was this very copy of the 1918 edition of The Elements of Style. I was in Hawaii at the time (May 2007), watching some of my grandchildren, while my oldest son was serving a tour in Iraq. But the USC instructor found me online. He was looking for information about his find, and came across a Dec. 25, 2006 post to the Ex-Libris Mailing List in which I mentioned my Elements of Style Collection. I couldn't offer him a dime at the time for his copy, but I periodically gave him advice on its value and its potential sale. 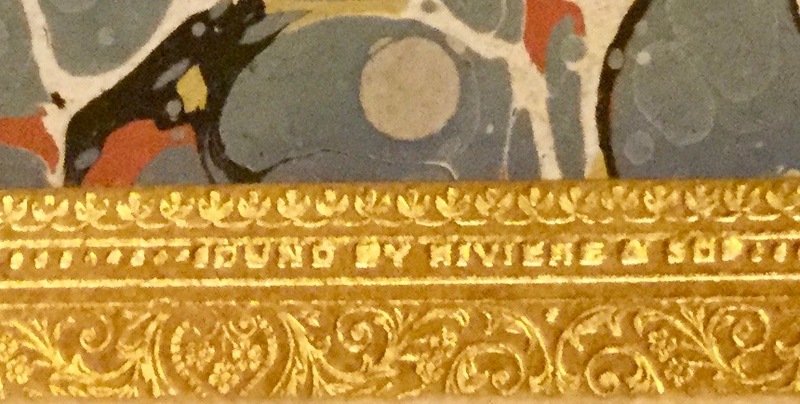 He went on with his life, changed schools, and took his time finding a good home for the book: In January 2011, he found it: The University of Iowa (PE1408 .S772 1918 ). He was impressed with the University's writing program. Moreover, UNESCO had just designated Iowa City a "City of Literature." I couldn't have picked a better home myself, especially when I couldn't afford to buy it. 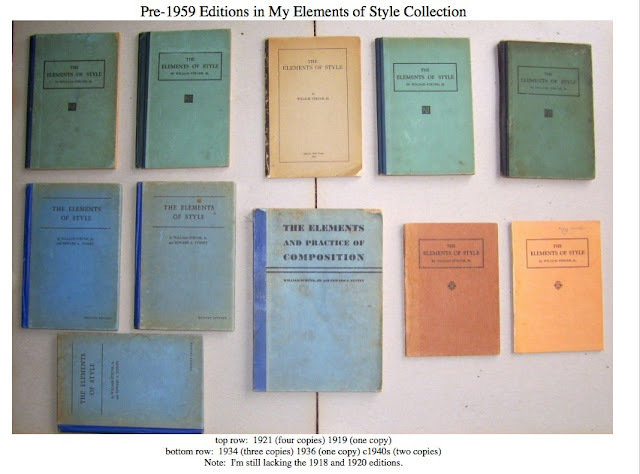 The owner of the third copy of The Elements of Style, a woman from Georgia, read one of my posts about my Elements of Style Collection, and contacted me last month. She had bought a box of books at an auction several years ago, and in the box was this copy of the 1918 edition of The Elements of Style. My first words to her were, "How much do you want for it?" 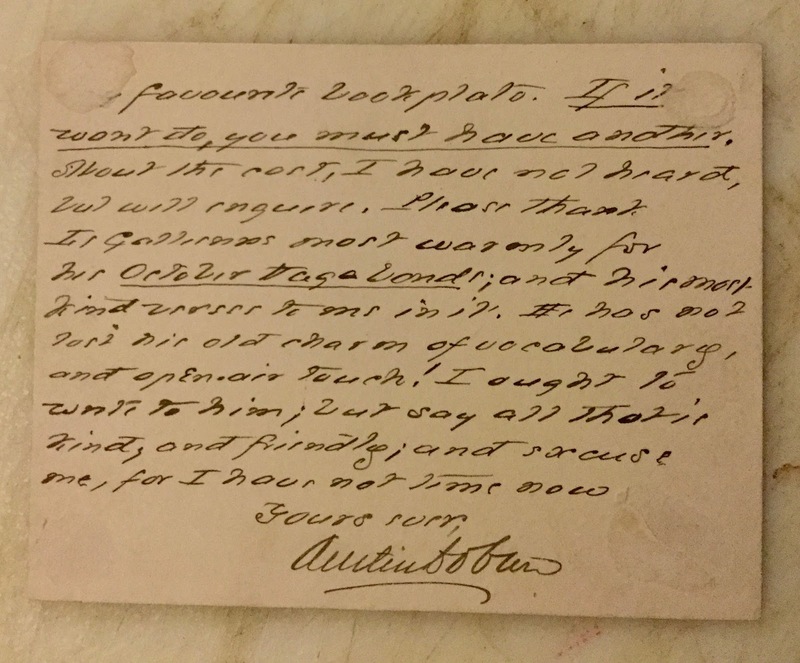 Her copy has condition issues; the pages are water-stained throughout; but the book is intact. I made her an offer, letting her know how much the book is worth to me. I have yet to hear from her.... Is this the third one that got away? 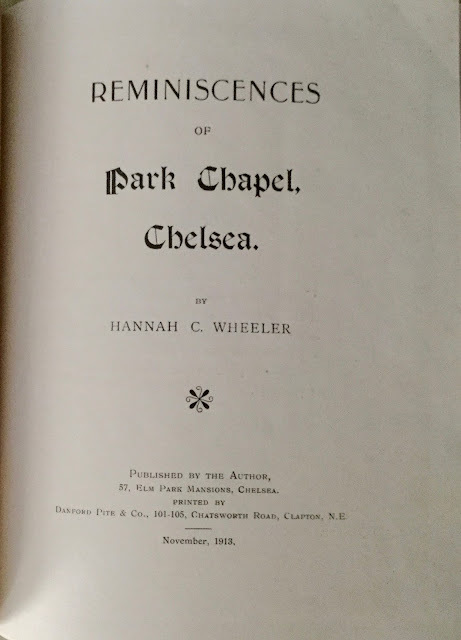 Its author, Hannah C. Wheeler, published the book in 1913. 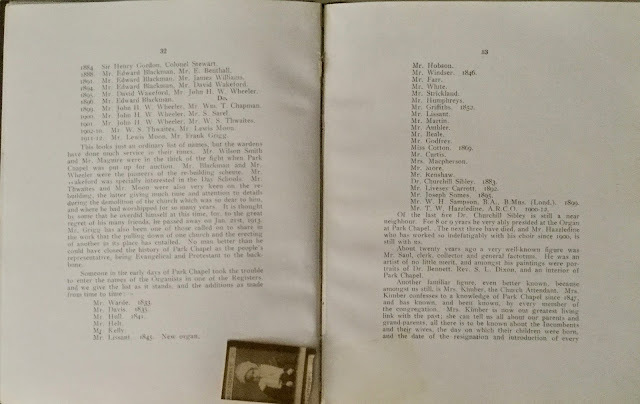 It provides a history of the church building, its leaders and its parishioners from the year it was built in 1718 to the year it was torn down and a new church built in its place in 1913, using the bell from the original chapel. 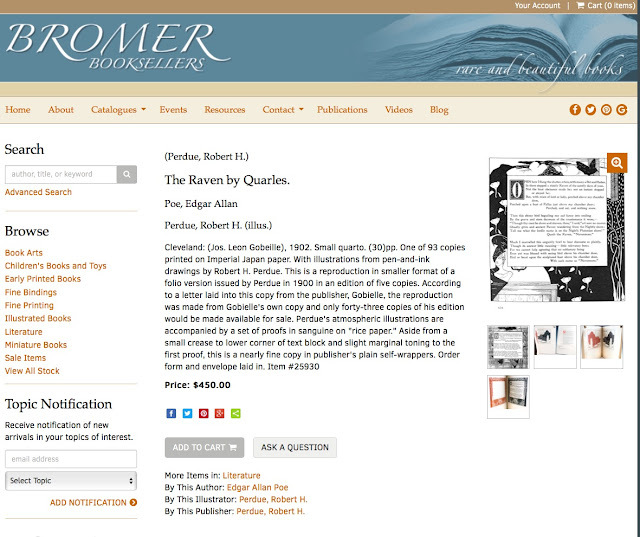 I have never seen a copy of this book for sale anywhere. WorldCat shows only one copy, and that is at Yale. COPAC shows copies at the British Library and Bishopgate Library. I kept the book with my other books about England. And there it remained for the last 29 years. For some reason or other, I pulled the book off the shelf early this month and started researching the church itself. When the church was rebuilt, the church leaders renamed the church, St. Andrew's, Chelsea. 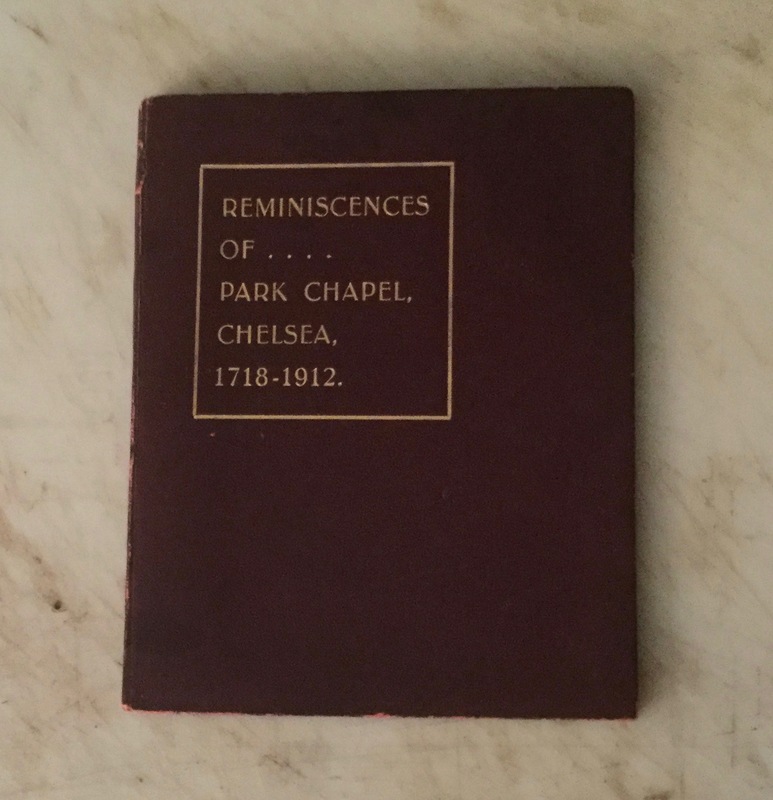 On Sunday March 4th, I contacted the church office and asked it they had a copy of the Reminiscences of Park Chapel, Chelsea... and if they didn't, would they like to have my copy? They did not have a copy, but had seen quotes from it in different publications. They offered to purchase my copy, especially since 2018 was the 300th anniversary of the building of the original church. I told them to consider the book a gift from someone who enjoyed spending four years in England. And the book was heading their way a few days later. Along with the book, I gave them a puzzle to solve. In the book, on the pages identifying some of the early church officials and organists, was a photo of someone's "Aunt Emma." Was Aunt Emma one of the early parishioners when the church changed names? As serendipity would have it, while Reminiscences of Park Chapel, Chelsea was heading to England, a book from Canada was heading my way. And on Monday the 12th of March, the very same day the parishioners of St. Andrew's, Chelsea received their book, I received the book from Canada. On Tuesday afternoon, the 6th of March, a retired antique dealer from Canada called me from out of the blue. 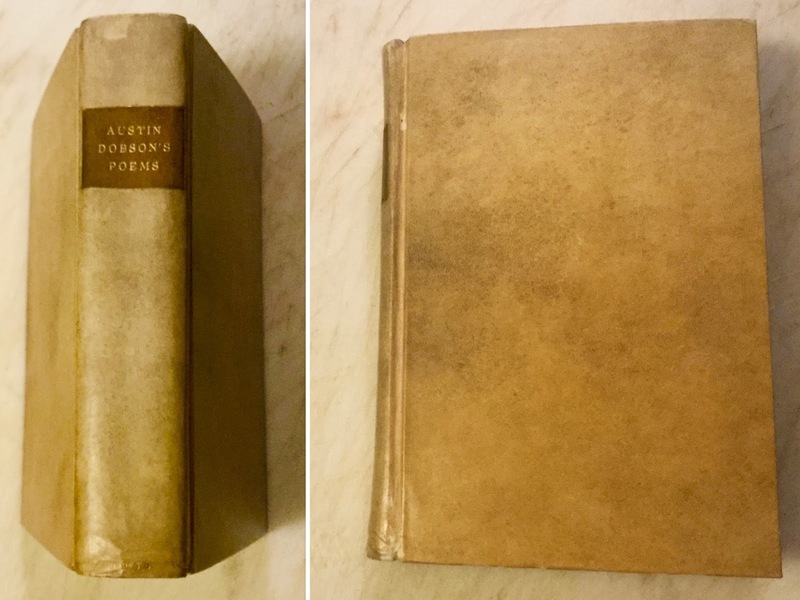 He had read my January 2017 post, A Virtual Tour of My Austin Dobson Collection, and said that he had a book that belonged in my library. He offered to send me the book and I could decide how much it was worth to me. What he told me about the book made my mouth water. I couldn't wait for the book to arrive. And on Monday, the 12th of March, I was in Seventh Heaven! 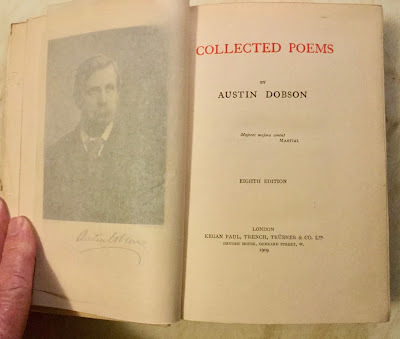 The book itself was nothing to brag about: an 8th edition of Dobson's Collected Poems, published in 1909. 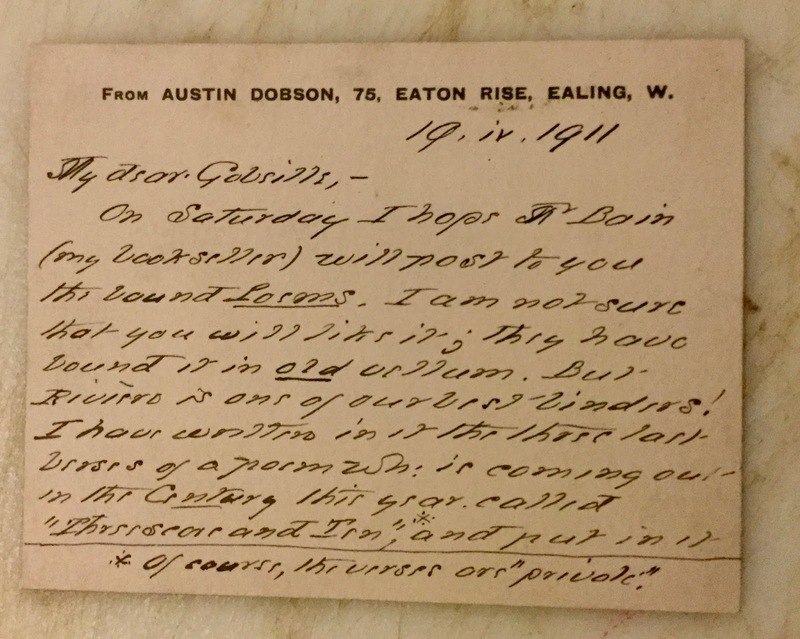 Dobson sent his friend a letter written on heavy card stock, and dated 19, iv, 1911. 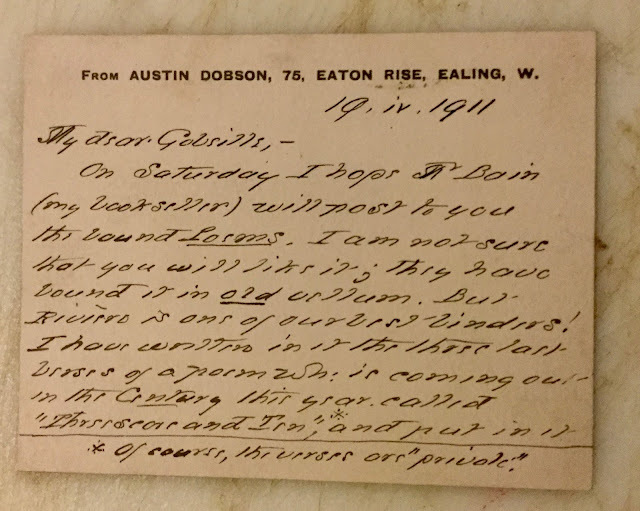 In the letter Dobson tells his friend, Joseph Leon Gobeille, that he wrote the last three stanzas of a new poem on a free endpaper of the book. The title of the poem was "Threescore and Ten," and it would soon be published in The Century, a popular American magazine based in New York City. 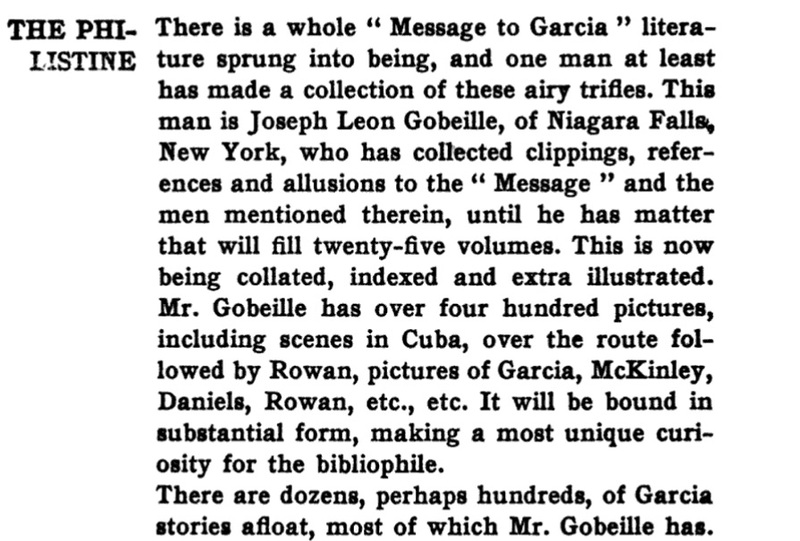 Gobeille later inserted a copy of the poem from The Century into the book. I evaluated everything I received. My estimate was spot on with the estimate of all but one of the friends. 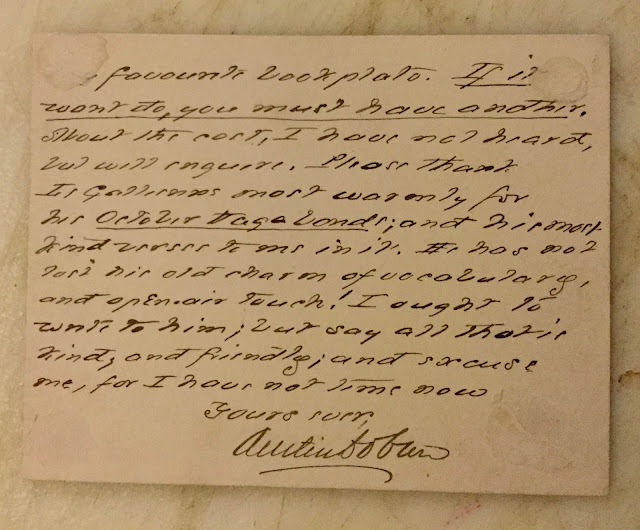 I contacted the retired antique dealer from Canada. We discussed my estimate, agreed on the price, and I put a check in the mail to him the following morning. The holograph poem would have been worth considerably more if Dobson had written out the entire poem. 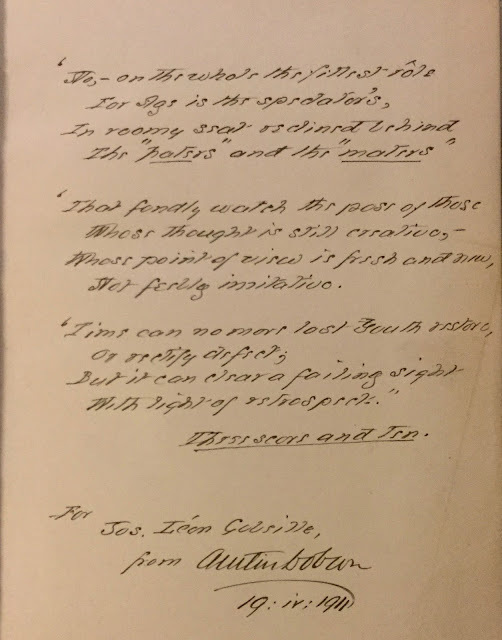 But the difference in the wording of Dobson's third line did add to the value of the holograph poem. I'll have more on the rewording of that line of the poem shortly. 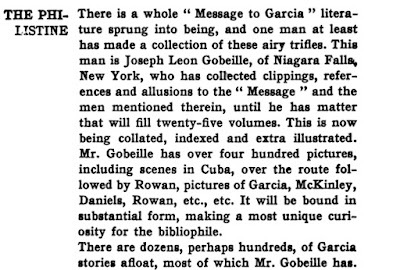 But first I'll tell you a little bit about Austin Dobson's American friend, Joseph Leon Gobeille (1855-1911). 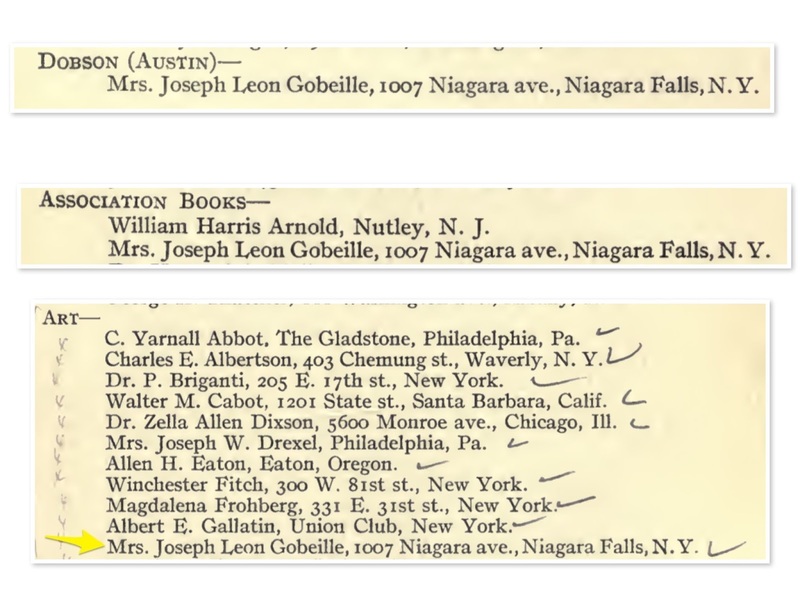 Gobeille was well known in the foundry industry as a pattern maker, ran a company with his brother in the late 1880s, and when the business went down the tubes in 1908, he relocated to Niagara Falls, and opened up a pattern shop (he was originally from New York). He was injured in an accident shortly after his arrival that left him impaired and unable to run his business. So he commuted to Brantford, Ontario where he worked for another company. 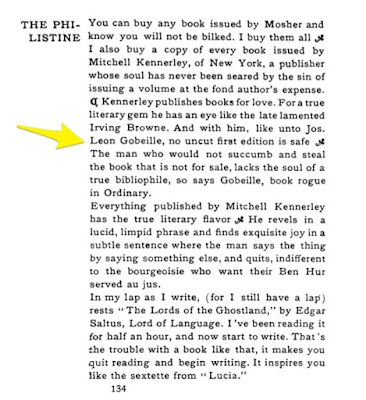 Elbert Hubbard mentions Gobeille several times in The Philistine, and in the October 1907 issues calls him "book rogue in Ordinary." 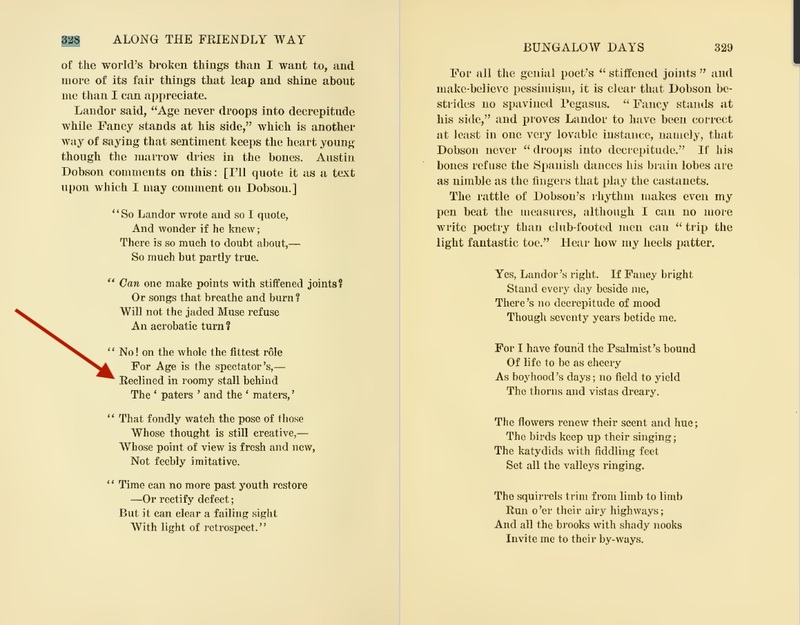 Speaking of Austin Dobson, if he actually submitted his poem, "Threescore and Ten," to The Century with the line, Reclined in roomy stall behind, and if it wasn't an error on the part of the editor of The Century, then he obviously preferred the line that he wrote to Gobeille: In roomy stall reclined behind. That is the way the line appears in the 1913 ninth edition of his Collected Poems. 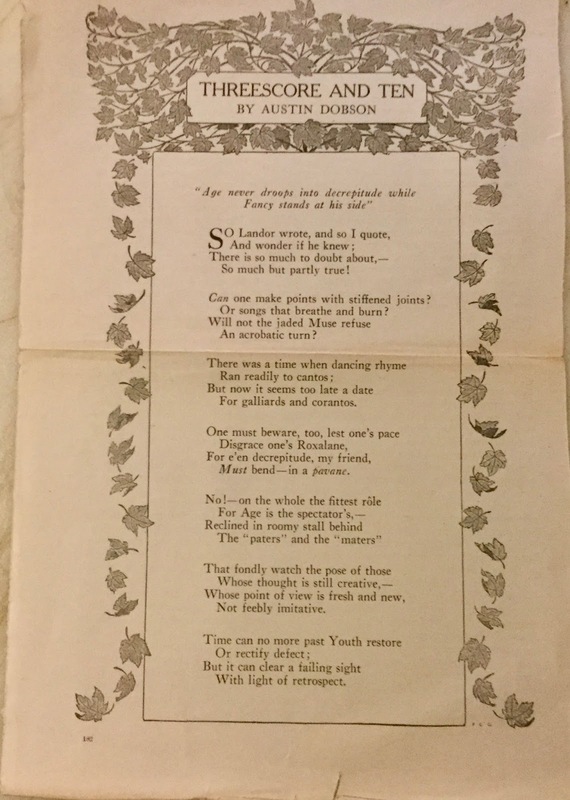 And that's how it appears in the 1923 edition of The Complete Poetical Poems of Austin Dobson.